We are drawing near the end of the formal school year, and that means it is time to begin assessing those things we accomplished as well as those areas on which we can improve. The month of May is when I like to consider my current curriculum. What is working and what is not? It is also the month that I begin organizing our Homeschool Portfolios for each of the children. My state does not require a homeschool portfolio to be turned in, but it is required that I keep files concerning what we do during the school year, and a Homeschool Portfolio really is the easiest way. Why Do You Need A Homeschool Portfolio? A Homeschool Portfolio allows you to organize each student’s files in a concise manner, keeping only the necessary and getting rid of the rest. If you haven’t used this method before, I know you will love it! I used to keep boxes of every worksheet and school work related items that my children made in huge boxes that we would store from year to year. When you have six kids, who has storage space for all of that? A Homeschool Student Portfolio was the perfectly organized answer to my chaotic homeschool hoarding habit. It provided a beautiful scrapbook of my child’s school year as well as kept the necessary records I needed to keep on file. Check your state’s requirements. Every state is different and you will want to ensure that you are including everything you need to meet these standards. Collect any necessary items to create your student’s portfolio: a three ring binder, your FREE homeschool portfolio pages (DETAILS BELOW! ), and any pictures or student work you want to include. If you want to DIY your homeschool portfolio you can just divide your three ring binder with tabs. Add your attendance records, extra-curricular activity reports, etc. Feel free to jazz it up with scrapbook pages of any art projects, experiments, nature walks, or field trips you photographed. My kids love looking back at these! The most convenient way to get started on creating your own Student Portfolio is by downloading our FREE Homeschool Portfolio below. This PDF has all of the pages you need to guide you through building your binder. All you need to do is personalize. Download a FREE Homeschool Portfolio for a Limited Time! Through Monday, May 14th you can download this lovely Apple themed Homeschool Portfolio for FREE! A homeschool portfolio allows you to create a neatly organized binder filled with a sample of your child’s work throughout the year. If you keep one portfolio for each year there is no need to keep boxes filled with papers and projects. This homeschool portfolio set is all you need! Take pictures of projects, experiments, artwork, and field trips to document neatly without the additional clutter. If your child uses workbooks during the year, only save 5-10 pages highlighting new concepts they learned and their best work. If your child uses online or CD-ROM based curriculum, print off the assessments provided to include in that section. For your older children, make sure to save key research papers, essays, and tests or anything that is a milestone. Throw the rest away. No need to store thousands of papers in boxes for years to come that you will never look at again! If you are saving this information for a teacher evaluation for purposes of meeting state regulations, you can save more if required for that time, but then toss what is not the most important or sentimental following the evaluation. Whether you are using a homeschool portfolio to meet requirements, this is a great way to organize your child’s paperwork and create memories to save for years to come. I am sure your future grandchildren would love to read through their mom and dad’s old school work one day. Maybe you have a husband who is skeptical of homeschooling and likes to see progress? Maybe you need a little confidence boost in the same area! 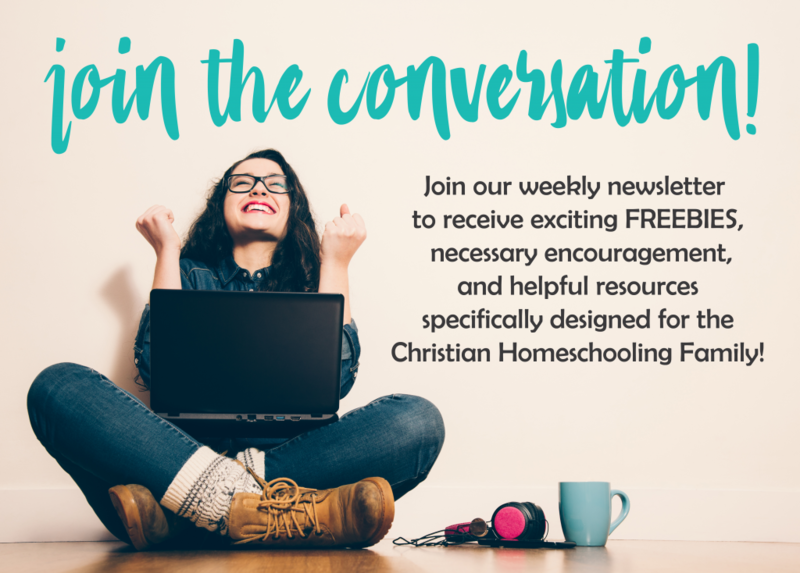 Click below to download your homeschool portfolio for FREE! 5 Ways to Love Your Mom When You Live Far Away & A Mother’s Day GIVEAWAY!